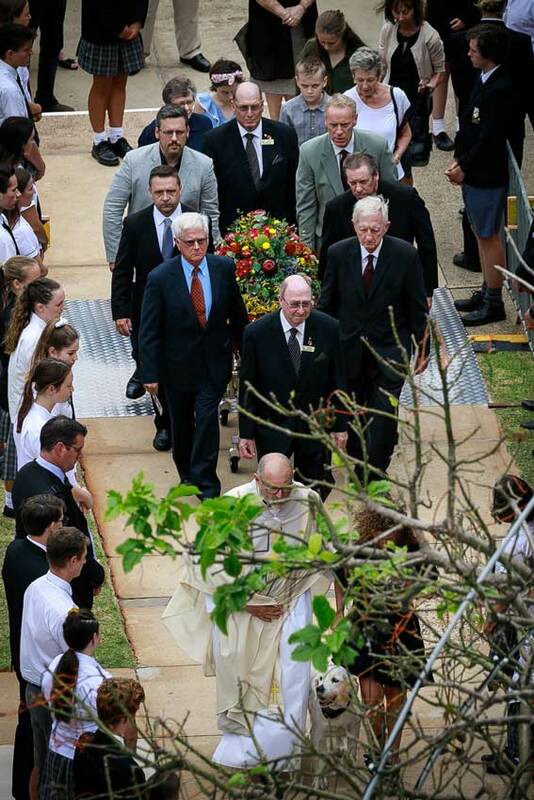 Around 1500 people attended the funeral of Father Leo Donnelly, Emeritus Parish Priest of St Agnes’ Parish of Port Macquarie, who died aged 91 at St Vincent’s Hospital in Sydney on 23 January. His Requiem Mass on 1 February at St Agnes’ was celebrated by parish priest Father Paul Gooley and assistant priest Father Peter Wood with Bishop of Lismore Gregory Homeming OCD and 23 other clergy. 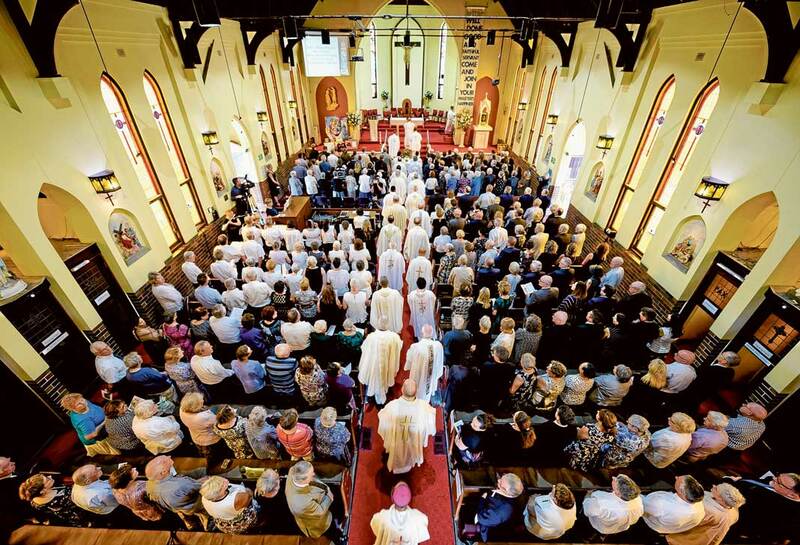 The service was broadcast live on the St Agnes’ Parish website and streamed via Facebook, allowing residents in the parish’s aged care facilities and thousands of people further afield, including parishioners on Lord Howe Island (which is part of the St Agnes’ Parish) and others overseas, to join in honouring Father Donnelly’s life. Two of Father Donnelly’s nephews, Matthew and Anthony Donnelly, delivered the eulogy while other family members led the prayers of intercession and offertory procession. Matthew remembered the special place Father Donnelly held in the hearts of his family. 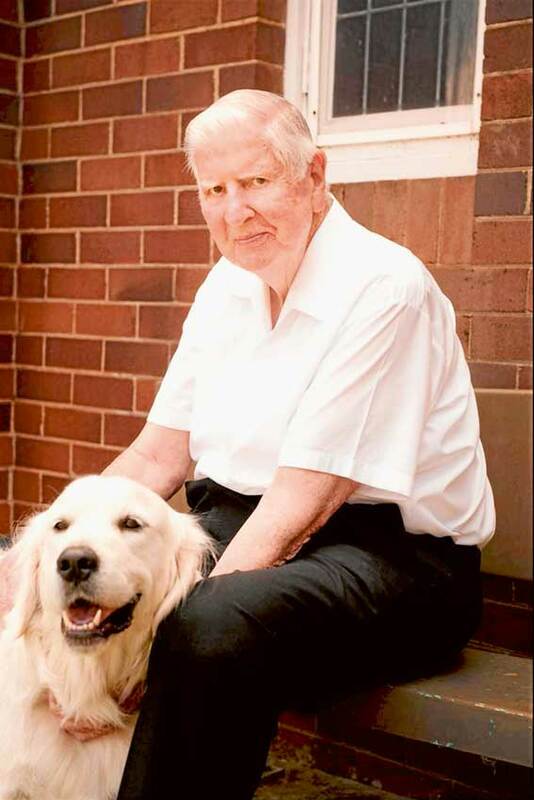 Father Leo Donnelly pictured with his beloved dog Shannon. “Uncle Leo had an authority about him but it wasn’t just because he was a priest; it wasn’t his intelligence; or his physical presence; it was his unending kindness and compassion; and, his ability to always see the good in every person,” he said. Anthony told anecdotes about Father Donnelly’s humour and of other treasured times spent with his uncle. “I loved it when I got to drive Uncle Leo home after sharing a Sunday evening meal with our family – it was 25 minutes of one-on-one time spent in conversation with him about faith and the things that mattered,” he said. In his homily, Father Gooley spoke of Fr Donnelly as a priest, mentor and friend. 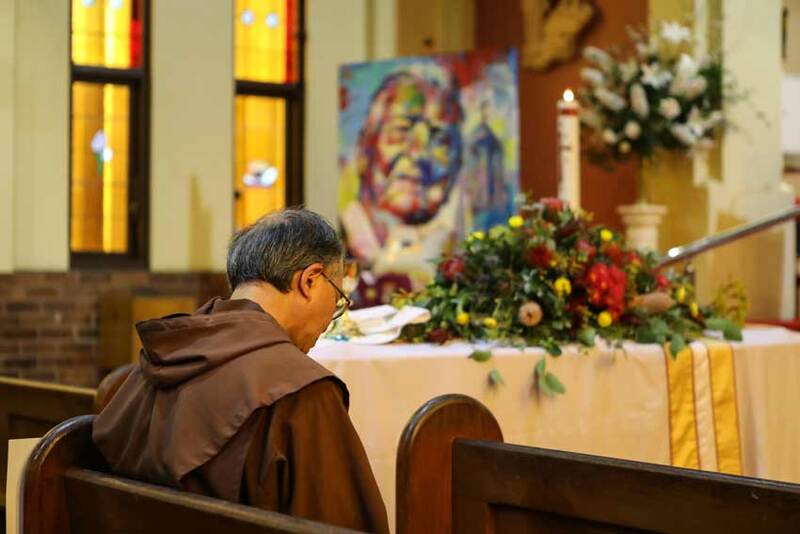 “Leo was a man of prayer,” Fr Gooley said. “Cardinal Newman, to whom Leo had a devotion, wrote ‘God has created me to do Him some definite service. He has committed some work to me, which He has not committed to another. I have my mission. I may never know it in this life, but I shall be told it in the next. I am a link in a chain, a bond of connection between persons’. “This is true of Leo and his life, as it is true of all of us as we continue the mission of Jesus Christ. Bishop Homeming said Father Donnelly’s impact on the community was evident in the diversity of mourners. “Father Donnelly was a driving force behind improvements to education, training, aged care, welfare and sport in the community,” he said. Adam Spencer, chief executive of St Agnes’ Parish and close friend, said Fr Donnelly would be a great loss to the community and was “without peer” in terms of what he achieved in the areas of aged care, early education, vocational education and training, community services and more. 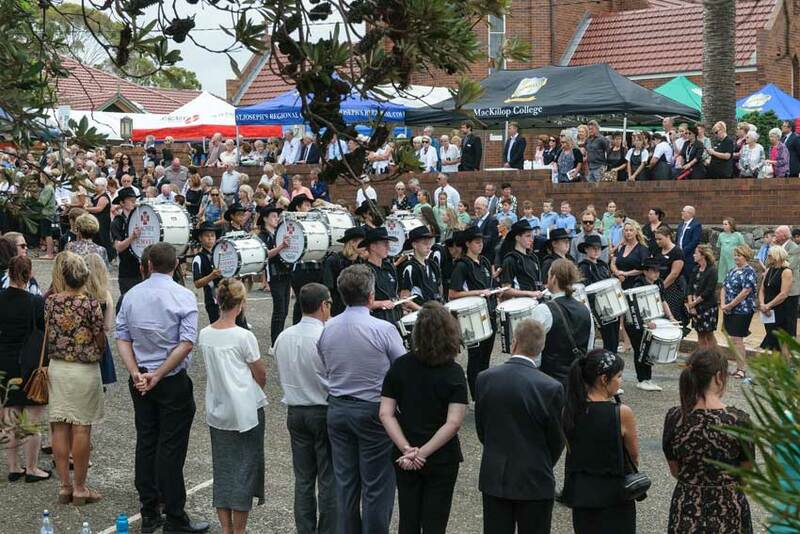 Following the funeral hundreds of people including St Agnes’ Parish parishioners, staff, teachers, students, and community members formed an honour guard that extended along nearby streets. Father Donnelly was parish priest of St Agnes’ Parish for 48 years, from 1970 until his retirement in March 2018.